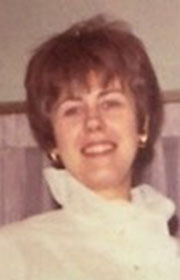 Judith A. Patterson, 78, a lifelong resident of Fort Dodge, passed away on Aug­ust 14, 2018. Judith Ann Carl­son was born on Nov­ember 15, 1939, to Herbert G. and Dorothy J. (Metter) Carlson. She attended St. Paul Lutheran School and Fort Dodge Senior High where she graduated in 1957. That same year she married William W. Patterson. They were married for over 50 years until his passing in 2008. Judy was an excellent cook and a gracious hostess. She and Will had a large circle of friends and enjoyed dinners, parties and traveling with many of them. Judy had a creative eye and was a talented artist. She was a lifelong member of St. Paul Lutheran Church where she participated in a number of activities over the years including a women’s prayer group that met in each other’s homes for many years. Judy volunteered with Girl Scout troops and other school activities when her children were growing up. She loved the various cats who found a home with her throughout the years. She is survived by her children, Suzanne (James) Cahalan, Wheaton, IL, Robert “Barney” (Tracey) Patterson, Fort Dodge, Carol A. Engelmann, West Des Moines, and Sara Patterson (Andrew Jacobs III), Portland, OR; her nine grandchildren, Nicholas (Lauren) Patterson, Andrew Patterson, Benjamin Patterson, Kathleen (Brett) Taber, Anne Cahalan, Emily (Cameron) Cunion, James Cahalan, Taylor Engelmann and Macy Engelmann; her four great-grandchildren Ryan Patterson, David Patterson, Oliver Patterson, and Holden Taber; her brother-in-law Daniel Block, niece, Kristine Godfrey, and her nephew, Mark Block. She was preceded in death by her husband William Patterson, her parents Herbert and Dorothy Carlson, and her sister, Sharon K. Block. Funeral services will be held on Saturday, August 18th at 1:30 p.m. at St. Paul Lutheran Church with burial following at North Lawn Cemetery. Visitation will be Friday, August 17th from 4:00 to 7:00 p.m. at St. Paul Lutheran Church. Memorials may be given to Almost Home Humane Society of North Central Iowa or the Paula J. Barber Hospice Home.